It’s a beautiful day in Trapeang Tem, Cambodia, a perfect day to celebrate an achievement that will impact generations to come. On July 3, community members sat beneath orange, yellow, and purple fabrics before a stage of government representatives, deputies, and other leaders to be honored at Svay Leu, Cambodia’s first Open Defecation Free (ODF) Celebration. An ODF certification is a government’s acknowledgment that the community is no longer defecating in the open, and that 100% of the homes have a restroom. ODF is a significant milestone in creating a Healthy Village and bringing lasting change to a community. “Nothing could compare with my happiness for the achievement for my village,” Kam Kea, a resident of Trapeang Tem, said. 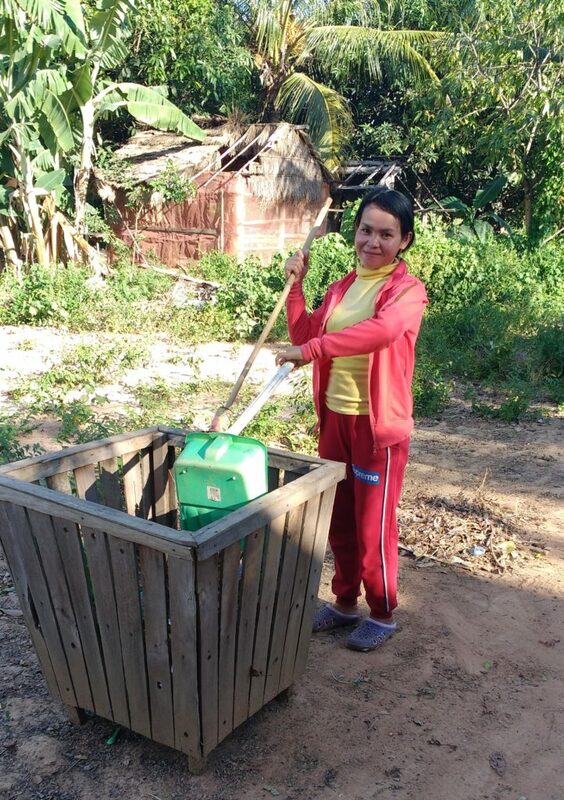 Community member washes the floor of her new restroom. Over and over again, an ODF village has been proven to be healthier, more prosperous, and more capable of climbing up the socioeconomic ladder and out of extreme poverty. 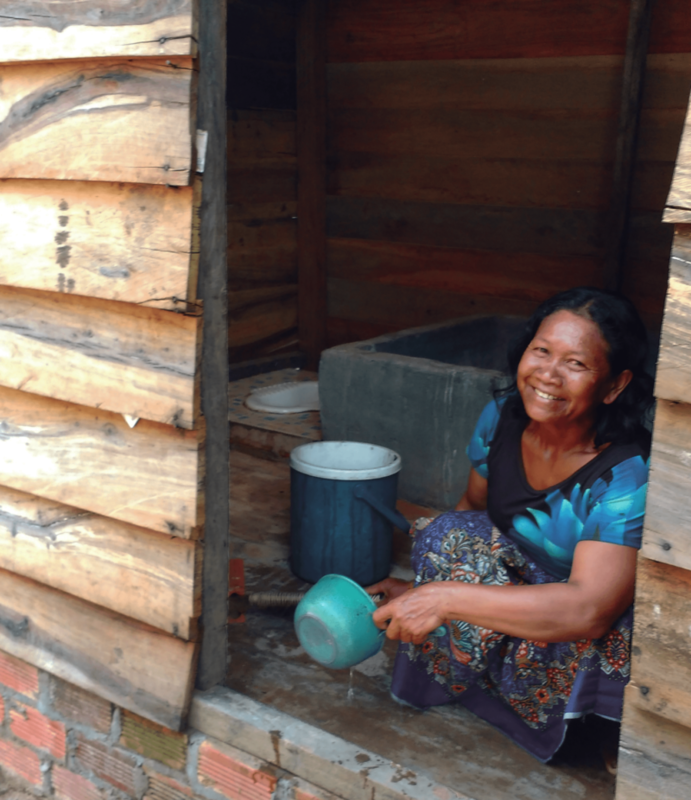 Lifewater began programs for the 759 people of Trapeang Tem nearly two years ago and found the community in a dire state. Villagers recalled the “polluted environment,” the trash and excrement that surrounded the homes, and the commonality of sicknesses that kept many families in a state of emergency. They weren’t alone in this. In 2015, 40% of Cambodia still defecated in the open, an action which, while stripping people of a complete understanding of their own dignity, is also a direct cause for much of the disease and water contamination that takes millions of lives every year. For many, though, the practice is deeply ingrained in a cultural history. Knowledge about its harmful effects is not readily available, and installing a restroom is an expensive undertaking in the areas that need them most. A community member places her trash in the bin. Persistence on the part of community health advocates and the entire neighborhood’s commitment to encouraging each other earned them this celebration. On July 3, all four WASH facilitators were honored, along with village leader Hean Sothy, and Principal Reth Rith of Trapeang Tem primary. Additionally, community members and the 20 students who make up the Health Club at the local school received recognition for their efforts. With the conclusion of each speech and the distribution of certificates, the crowd threw their hands into the warm air, smiles lifted their cheeks, and they shouted for the honorees. Romanea Thong, Lifewater’s Cambodia Country Director, made an important point. “The ODF award certificate is only valid for two years, and after two years, country officials will come and do an assessment once again,” he said. This system of accountability encourages communities to maintain their ODF status. 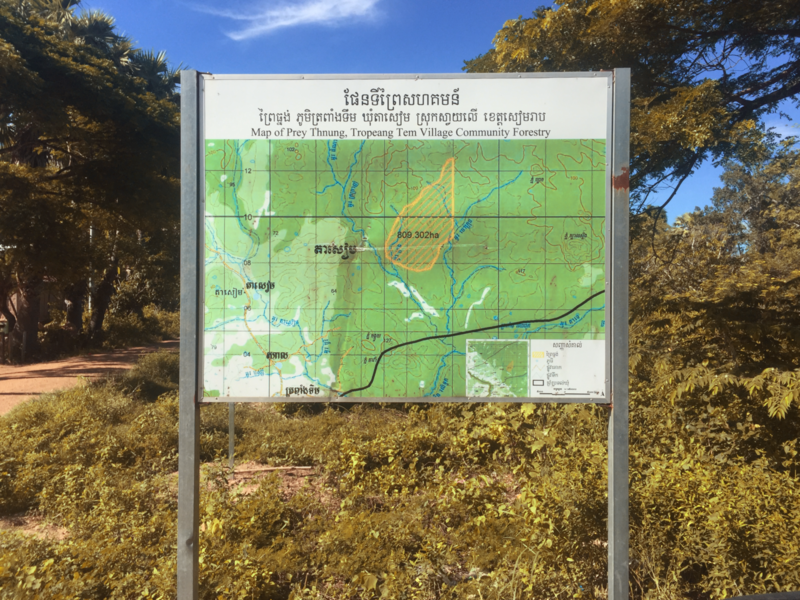 Trapeang Tem’s community sign resides directly before their village. We give thanks to God for the work he is doing in Cambodia. Visit our interactive map of Cambodia to see how Svay Leu is being transformed house by house with healthy practices.